According to the National Association of Realtors (NAR) who’s findings were published in the August issue of Realtor Magazine, the end of July 2018 figures shows existing home sales slip .07% and subsided for the fourth straight month to their lowest pace in over two years. The West was the only major region in the country with an increase in sales last month. The seasonally adjusted annual rate showed 5.34 million homes sold which is down from 5.52 million homes sold a year ago, a drop of 1.5% and home sales have fallen on an annual basis for the last five months. 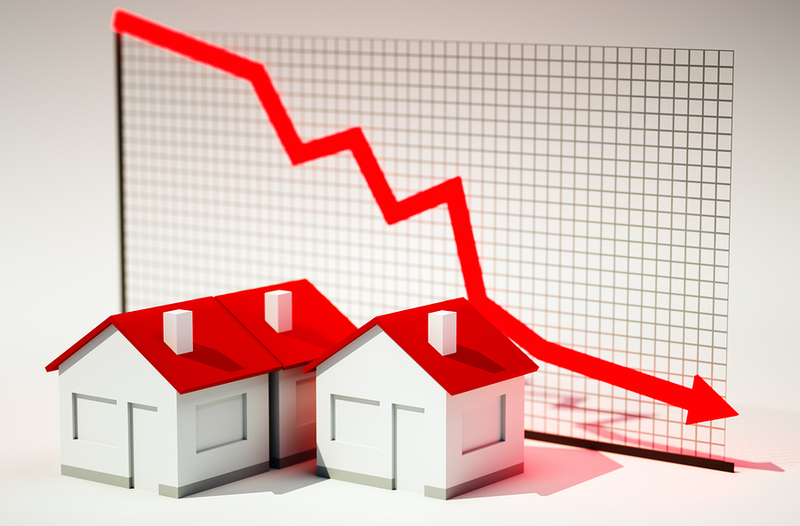 The main reason for the decline is the continued strong and steady increase in home values and list prices which have steadily slowed demand. Would-be buyers are being priced out and or are deciding to postpone their search until more homes in their price range come onto the market. The current nationwide housing inventory remains unchanged from a year ago and stands at 1.92 million homes on the market. Properties typically stayed on the market for 27 days in July 2018 with 55% of existing homes selling in less than a month from their listing date. In addition to a steady climb in home prices over the past year, it is also evident that the run-up in mortgage interest rates had a cooling effect on the housing market and helped contribute to the decline in home sales. The data also shows that in the South, home prices remain high thanks to a steady demand and continued low inventory. The average list price in the South is $233,400, up 2.7% from a year ago, which is worsening an already serious issue with affordability which help contribute to the .4% drop in sales as compared to a year ago. Visit us at Rick and Jim Properties and feel free to "LIKE" us on Facebook at R and J Properties or contact us at 843-469-6570 if you are interested in buying or selling real estate so we can get started working for you today. Save: When you are serious about buying a home, be sure to start saving as soon as possible, not only for the required down payment but also for the upgrades and purchases you will ultimately want to buy for your new home. According to a Nerd Wallet’s Home Buyer Reality Report survey of 2,200 home buyers and mortgage applicants the biggest regret Millennials and Generation X buyers experienced was not saving enough money before buying a home. More than 10 percent of respondents to the survey said they failed to save enough money, before buying a home and thus they no longer felt financially secure, after buying their home. Budget: A new home comes with all kinds of expense liability from new furnishings, landscaping changes or upgrades, repairs, appliances, insurance, and the list goes on. Be sure you have accounted for these factors when saving for a home and budget accordingly. Having a detailed budget of exactly where your money is going and feeling comfortable with the nest egg you have built to help with the expenses associated with homeownership will help make the experience much more enjoyable with less surprises along the way. Get Pre-Approved / Pre Qualified: When you are serious about buying a home and not just looking, be sure you work with your realtor to find a lender and get pre-approved BEFORE you start looking at homes. Also, be sure you obtain a pre-approval and not just a pre-qualification, which simply means you obtain a preliminary letter from a lender or mortgage broker without the official credit check, etc. With a pre-approval, you are more fully vetted by the lender complete with a credit check so you know exactly what size loan you qualify for. This will definitely allow you to be ready to make an official offer on a home that feels right and if there is heavy competition, which is often the case, you will know exactly what you can afford and be comfortable in your offer, which will add to your buying power and assure you get what you can afford that will also meet your needs. Do Your Finance Research: As Realtors we can help you education yourself and get you in touch with qualified mortgage brokers and lenders so there are no surprises when it comes to the borrowing or buying process. Nearly half of the respondents to the Nerd Wallet’s Home Buyer Reality Report survey said they would do something’s differently if they could. Near the top of the list of things they would do better is they would do more research before buying. A total of 41% of the buyers who applied for a mortgage felt they weren’t aware of all of their loan options. Many first time homebuyers were also not aware of all of the costs associated with buying a home, especially the closing costs. Don’t be surprised by anything, when you are serious about buying a home, contact Rick and Jim Properties and let us start working for you so you are totally prepared and there are no surprises. You think you have found your perfect home; here are some very important things to consider before putting the home under contract. Research the Neighborhood: Drive around the neighborhood and surrounding areas during different times of the day. Check out the neighborhood at night, it is well lit and is it a place where you would feel safe once the sun goes down? Is it located near a major highway, train tracks, airport or under airport traffic patterns, it is located near a school or college where students and late-night activates may keep you up at night. Talk to other homeowners in the neighborhood and ask them about the noise and if they like living in the area, this will give you an idea of what the neighbors are like and what kind of neighborhood it is. Check the Crime Stats: Before buying, get a report of the police calls in the neighborhood. A “bargain price” may be related to the crime rate in the area. Take the extra time to do your research about the crime rate in the area. Know your Commute and Traffic Patterns: What will your commute be like to and from work? Test your commute from the house you are considering and understand what rush hour is like in the morning and evenings. In addition, your Realtor should be very familiar with the area and able to give you a lot of insight into the traffic patterns in the area. Consider Resale Value: Even if you plan on staying in the home for many years, consider the resale value and research all the factors that will affect the resale value of the home. Does the home back up to a busy street, are there several apartment buildings or retail nearby? How is the surrounding land zoned? You should know and understand what future development may occur around you or adjacent to the property. Is the neighborhood undergoing a revitalization or are their signs it is struggling? Consider things that may scare off potential future buyers. Home Size: Nearly 20 percent of Millennial and Gen X buyers said they regretted not buying a bigger home. Consider your family plans and think about the Bathroom to Bedroom ratio. You will never regret buying a home with too many bedrooms or bathrooms but not having enough of either can make your regret a home purchase. Also, always consider and property set back and make sure if there is any question about the home being too small make sure there is “room to grow”. Is there room to add on if needed and would it be practical and affordable? Technology – Satelite / Wifi / Cell Signal: In today’s technically dependent society don’t forget to check the technology providers that service the area and the cell signal in any home you are considering putting under contract. Have your Realtor ask the seller who their service providers are and what services are available in the area. Also, go in the home and check your cell signal throughout the home to make sure you have a strong signal everywhere in the home. Check the Water Pressure: Always check the water pressure, check the sink facets, showers, and flush the commode to make sure you have adequate water pressure. If you feel the pressure is lacking be sure to research any causes to see if the pressure can be increased. Check the Air Filters: The quality of the air filter can give you insight into how the appliances are being maintained. Get a Home Warranty: Always insist that the seller purchase a home warranty. This may save you from any surprises and unexpected expenses related to the home appliances for a full year after closing on the home. Offer to Buy and Tools / Lawn Care Equipment: Especially if you are a first time homebuyer, it is always a good idea to offer to buy any handyman tools or lawn equipment you see when considering buying a specific home. This can be negotiated as part of your purchase offer and is typically handled with a standard Bill of Sale. Verify Everything: Every seller is required to complete a detailed “Sellers Disclosure” but you should always work with your Realtor and insist on a full written disclosure from the seller about all remodeling, repairs, old damage, leaks, mold, etc. Also, check with the city and county and get in writing the properties permit history, all prior uses of the home, research the local land use and zoning laws, any future construction or development plans and road right of ways. Make sure you understand all of the association restrictions, fees and rules and anything else you can find out. It is not “location, location, location” it should be verify, verify, verify. Make a Homeowners Manual: Start a three ring binder to keep all of your important documents such as insurance papers, home warranty information, receipts, repair history, paint colors and other important paperwork pertaining to your home. Storing all your home information in one handy place will make life easier down the road when you need to replace appliances or file a claim. It will also be a “plus” and help you as the homeowner when selling your home in the future. Get to Know Your Home Before Making Big Changes: Plan on living in the home for at least 12 – 18 months in order to experience every season in the home and really understand the functionality of the home before planning any major renovations such as any additions or knocking down walls. What you initially think you want may change after living in the home for a while. Don’t Be Afraid of DIY Projects: 90% of any DIY job is getting the courage to try the project. Just do your research, understand any required permitting and then get started. Worst case scenario, you mess up and then have to hire a professional. Best case, you save a ton of money, learn something new and feel a great sense of pride and accomplishment when the project is completed. Just be sure to only tackle one project at a time. It is very challenging and stressful to have multiple projects going at once. It can also become a money pit and projects can go unfinished so don’t’ settle with unfinished projects and be sure to start and finish one project at a time before moving onto the next project. If you are considering buying a home, be sure that your first step in contacting Rick and Jim Properties at 843-469-6570/6580 so we can get started finding you the perfect home and help you every step of the way. Be sure to follow us and like us on Facebook and visit our website at RickandJimProperties.com for more useful real estate information. We look forward to working with you soon. Economy – The region’s economy is strong with a Gross Domestic Product GDP per capita is $44,645.00 and it is projected to grow to $46,670.00 by the end of the year, a growth rate of 05%. Job Market – The current unemployment rate for Charleston SC is 3.1% down from 9.4% at the height of the great recession earlier this decade. The national unemployment average is 4.1%. New Construction Permits – In 2016 there were 5028 single family housing construction permits issued for the Charleston Tri-county region, down from a high of 8218 in 2005. During the same time period there were 4,582 multifamily units permitted up from 2024 in 2015. As of July 2018, there are over 105,000 single family home permits issued for the Tri-county area. Population Growth - Per the latest Charleston Chamber of Commerce data, Charleston has a population of 719,000 and is now the largest City in South Carolina, with 51 people a day moving to the region. Rental Vacancy Rates – The current rental vacancy rate in the Charleston Tri-county region is 7.2% down from a high of 13.9% in 2010. The current vacancy rate is expected to continue to drop in order to meet the current housing demand as new construction cannot keep up with the population growth. Demand - with 51 people every day moving to the Tri-county Charleston area the demand for housing currently exceeds the rate of construction driving down vacancy rates and driving up rental and housing costs. You have nothing to lose - don’t wait, act now and stop throwing away your hard-earned money! As a first-time homebuyer you will be surprised what you can afford to buy. We are a one stop shop and can work with you every step of the way to find out exactly what you would qualify for and find you the perfect home. Contact us at Rick and Jim Properties or call us now at 843-469-6570/6580 and let us get started working for you today. For most Americans, buying a home requires qualifying for a loan from a bank or other qualified lender. 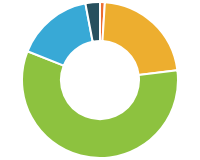 Conventional loans are by far the most common of all mortgage loans and represent over 60% of all mortgage loans originated in the United States. The other 40% are primarily FHA, VA or USDA loan types, which are similar to conventional loans, but have other requirements and benefits allowing American’s that meet the requirements to buy more home for less money. Because the majority of mortgage loans are conventional, the focus of this article is going to be on conventional loans and not FHA, VA or USDA loan types. 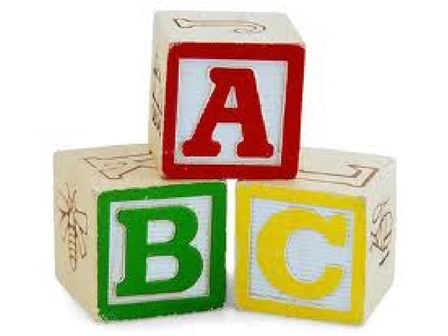 Conventional loans are also known as “conforming” loans because they conform to a set of standards established by Fannie Mae and Freddie Mac, which are government, backed loans also known in the lending world as the Secondary Market. By originating conventional loans that conform to Fannie Mae and Freddie Mac standards, after closing a loan, the lender can then group conforming loans together into a “pool” of loans and then sell them into the Secondary Market as a way of generating additional capital for the bank or lender. Most lenders sell loans into the Secondary Market but continue to service the loan, so these post-closing transactions are seamless and mean very little to you because none of the loan terms change. Conventional conforming mortgage loans are used to purchase a primary residence, seasonal or secondary home, and rental property. They are fixed rate or adjustable (ARMs) and have terms ranging from 10 to 30 years. Conventional loans are a great option for today’s homebuyer. They offer great rates and low fees and down payments as low as 3%. 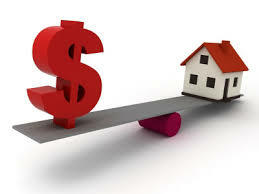 The loan amount is limited based on the average cost of living for the area in which you are buying. The standard conventional loan amount for South Carolina in 2017 for a single-family home is capped at $424,100.00. Increased loan amounts are available for 2, 3, and 4 until homes. Conventional loans generally require a credit score of 680 or above, lower scores can qualify but include other conditions and costs. Down payments can be as low as 3% with Private Mortgage Insurance (PMI), which helps insure the loan in the event of default on the loan terms. The required PMI increases the monthly mortgage payment, as it is included in your monthly loan payment, but can be dropped once you have accumulated at least 20% equity in the home. A Debt to Income ratio (DTI) of less than 43%. The DTI is how much money you make as compared to how much money is required to pay all of your debt and expenses. No PMI is required when originating a loan with at least 20% down or a Loan to Value of 80%, meaning the equity in your home is at least 20%. Here are 10 of the “key” reasons anyone wanting to sell their home should list it with a Realtor. As the title of this blog indicates, it contains ten reasons why you should not attempt to sell your home by way of a FSBO but instead utilize a Realtor when selling your home. We wanted to provide you with the MOST important reason first. Consider this, all Realtors are held to a higher standard and are required to complete nearly a hundred hours of intense classroom instructor lead training and testing that include realtor principles and ethics training. Realtors are required to know and understand all state and federal real estate licensing laws and successful pass a 120-question state and federal licensing exam. The exam covers laws that encompass, real estate brokerage law, FHA, VA and conventional finance options, appraisal law, contract law, estate and tenancy law, the laws pertaining to encumbrances, ownership and transfer of title that allow Realtors to identify and help resolve title record issues. It covers, federal and state fair housing laws allowing sellers to avoid expensive criminal and punitive damages including jail time for any violations of the law that are far more expensive than any commissions you are trying to save by selling the home on your own. For buyers and sellers of property in the low country it is also important to know and understand all issues related to the coastal zone and management laws. All of this knowledge and protection is provided to you as a seller when you list your home with a Realtor rather than attempting to sell property on your own by way of a FSBO. If this is not enough to convince you of the value of utilizing a Realtor keep reading for information on nine other important reasons. In the past, newspaper ads would produce a fair number of calls and traffic on FSBOs. Today, a three-line ad in the local newspaper has very little chance of competing with the wide array of information available online, including video, color photos, 360-degree virtual tours, and a wealth of community and lifestyle data that a Realtor can provide you when selling your home. Buyers use a variety of free and easily accessible on-line products and solutions, Realtor.com, Trulia and Zillow all provide access to virtually all the listings in most market areas. Most buyers comb these major sites simply because it’s more efficient than searching for single properties. Using a Realtor can get a sellers home prominently featured on scores of these sites and dramatically increasing traffic to your home. A third problem for FSBOs is that people who surf the Web usually are seeking instant gratification. In fact, most visitors will only visit a website once and stay for 15-30 seconds. However, a Realtor is skilled at capturing potential lead’s and their contact information for immediate follow up. Even if the Web lead does contact a FSBO, unless the buyer gets back to the FSBO quickly, that lead has moved on. Even for those buyers who do search for FSBOs, they automatically deduct 6 percent from the sales price of the FSBO because they want the savings in their pockets, not in the wallet of the seller. The result is that many FSBOs end up selling for 20 percent less on average then properties listed with a Realtor who are held to strict standards and have fiduciary duties to their clients to look out for the clients best interest in order to get them the best deal. A major challenge for FSBOs is the needle-in-the-haystack nature of the Web. There are millions of websites including the hundreds of thousands of company and agent sites. Without search engine optimization, meta tags and a host of other branding strategies available to Realtors that achieve high Web placement, the probability of the Web buyer finding your single FSBO listing online is very small. Of course, the seller could post on sites such as ForSalebyOwner.com, ByOwnerMLS, or utilize the "Make Me Move" feature on Zillow. The challenge is that unless the buyer specifically wants to purchase a FSBO, it is much more efficient for potential buyers to search on the brokerage or MLS sites, which do not contain FSBOs. The FSBO could also put his home on Craigslist. There are two challenges, however. First, the FSBO has to repost the ad regularly for it to appear near the top where it can be found. Second, there have been so many rental scams and unsavory people using that site to identify targets for possible criminal activity that listing there could be a major safety issue. Another issue FSBOs must face is that most Web buyers are very reluctant to provide contact information to a stranger, especially during the search process. Instead, buyers identify homes they want to see and then normally contact a buyers agent who will then show them everything they want to see, not just a single FSBO home. If you think a FSBO is a smart move and the way to go to save money, consider this. The founder of ForSalebyOwner.com, which is one of the most popular and robust FSBO sites on the Web, listed their home with a Realtor and paid a full commission in order to get it sold for the most money in the shortest amount of time. 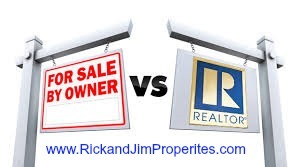 If you are considering selling your home, please contact Rick and Jim at 843-469-6580, you can also like us and follow us on Facebook at R and J Properties or look us up on-line at RickandJimProperties.com and let us get to work in order to get your property listed and sold for the most money in the shortest amount of time possible. We are here to serve you so contact us today!